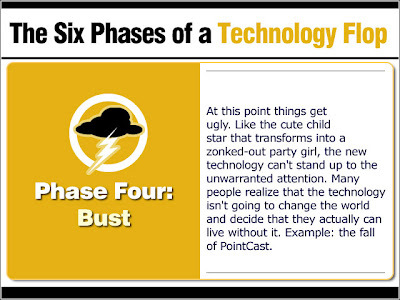 A nice piece [The Six Phases of a Technology Flop*] by Jim Rapoza of eWeek shows how technologies often go from bubble to bust ...and on to rebirth. Rapoza's use of "push" technology for his example came particularly close to home for me, since I lived through all six phases of that cycle with my original Teleshuttle "push" technology. 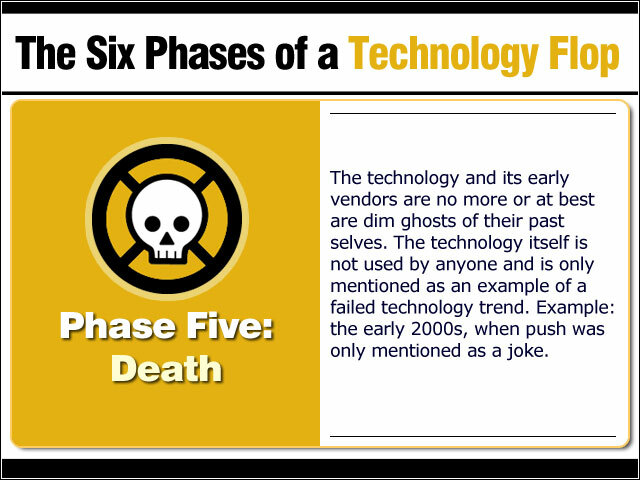 My personal experience shows how the long cycles of the patent business can serve as a counterbalance to the fast cycles of technology. 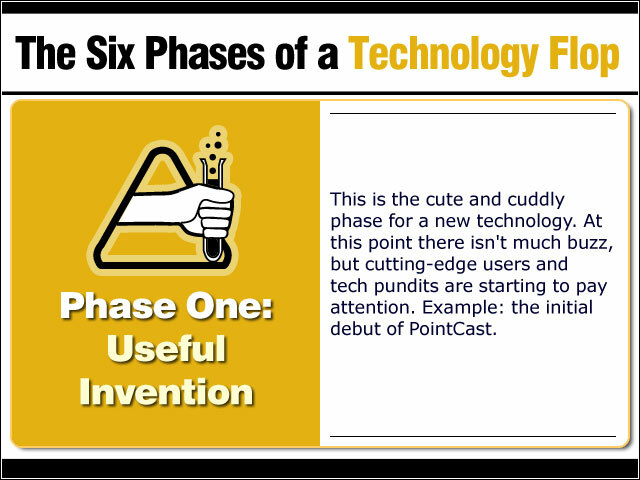 "Useful Invention:" I developed some ideas relating to what came to be known as "push" distribution and filed for a patent and started Teleshuttle in 1994 (well before PointCast launched in 1996). "Growth and Competition:" Teleshuttle gained lots of interest from '94-96, and got its software distributed on several million computers -- but PointCast, Marimba, and BackWeb made a much bigger splash. 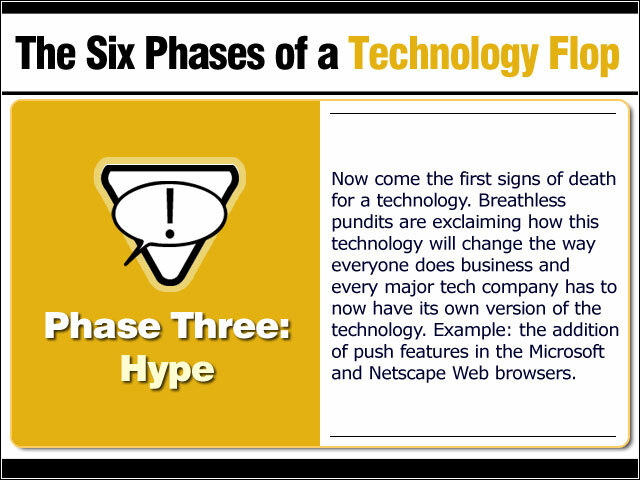 "Hype:" For a few years, "push" was very hot, and even though the Teleshuttle product failed to build a profitable market, I was able to leverage that hype to partner with a company called BTG to work on commercializing my patent. 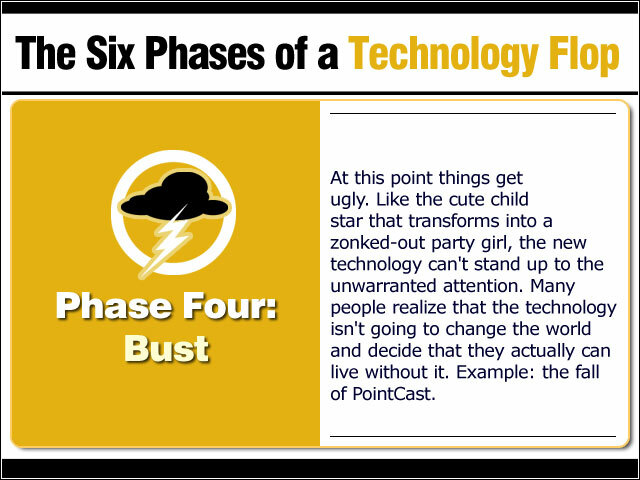 "Bust:" PointCast went under, and the other guys retrenched. 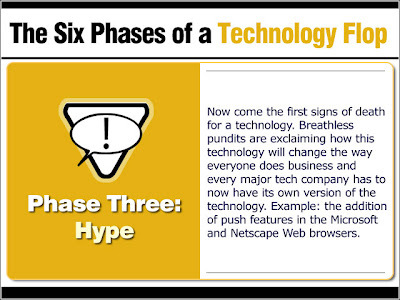 Teleshuttle and BTG tended to the development of a portfolio of patents, and did other things (I was CTO for a dot-com). 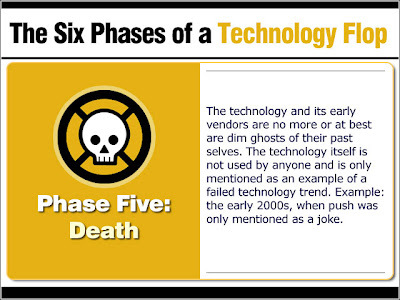 "Death:" By the early 2000's push was written off as a classic failure, but we still saw value there -- one minor example being Windows Update (and its Apple counterpart). 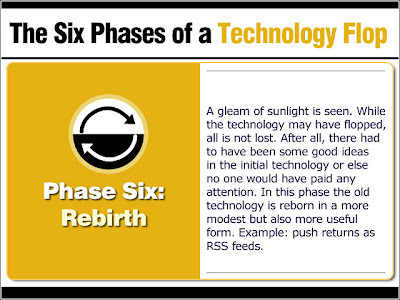 "Rebirth:" Push returned in a big way as RSS feeds. 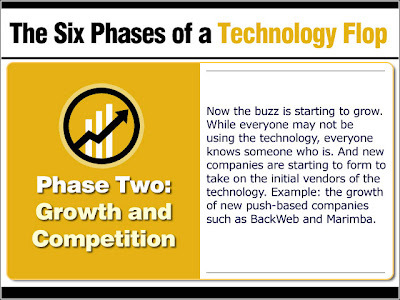 We persevered in commercializing my patent portfolio and sold it in 2006 for $35MM. So it was a very long and often discouraging ride, but all's well that ends well. Some might say this is exploitation by a "patent troll." But that misses the whole point of the patent system. 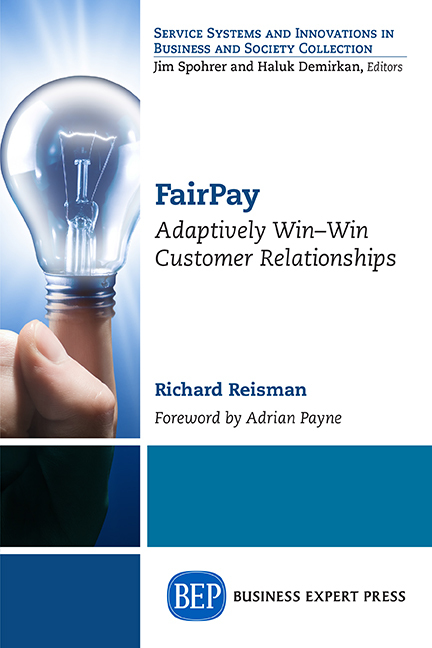 It is reasonable to recognize a patent as the innovator's well-deserved incentive. Some people excel as entrepreneurs, others excel as innovators -- even if their business does not succeed. 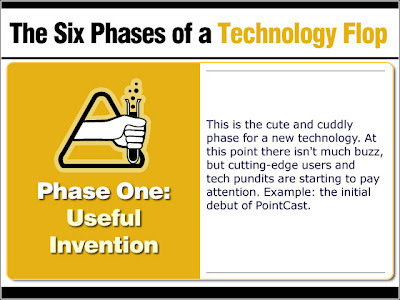 The Constitution provided for patents as a way to encourage the innovating part, not the succeeding in business part. The Framers understood that succeeding in business generates ample reward of its own -- it is innovation that needs the added incentive of a patent. Viewing the patent as Plan B provided the hedge that made it easier to justify the risks inherent in developing my ideas and starting the Teleshuttle business. In my case that hedge paid off -- after 12 years! 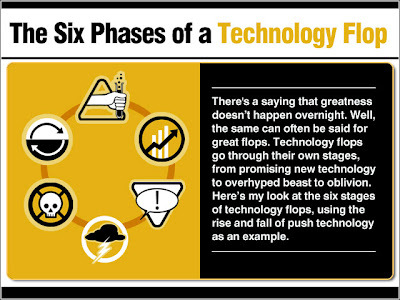 "The Six Phases of a Technology Flop"